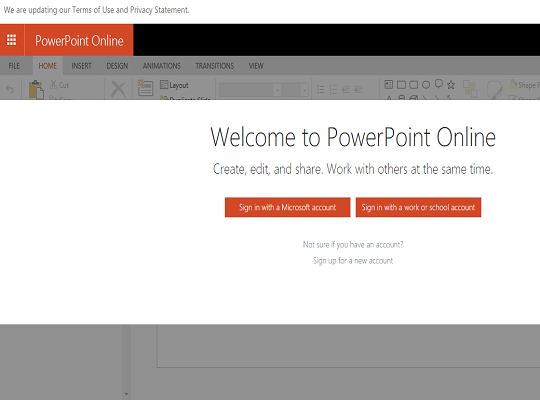 For years, PowerPoint reigned supreme as presentation software of choice for just about everyone, including teachers and students. In recent years though, upstarts like Prezi showed us that there was more than one way to move through traditional slides. 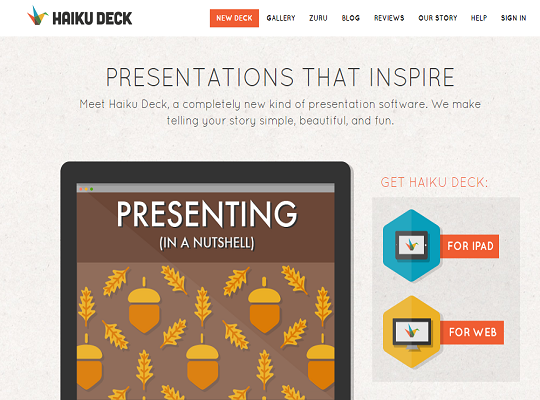 We complied a list of 21 of the best presentation apps for educators. Sure, you’ll see some old favorites, but we’re sure there are at least a few on this list you’ve never heard of. Everyone is looking for different features and options when creating a presentation. For that reason, we chose not to give these tools a “rank”. Instead, the list is sorted alphabetically. 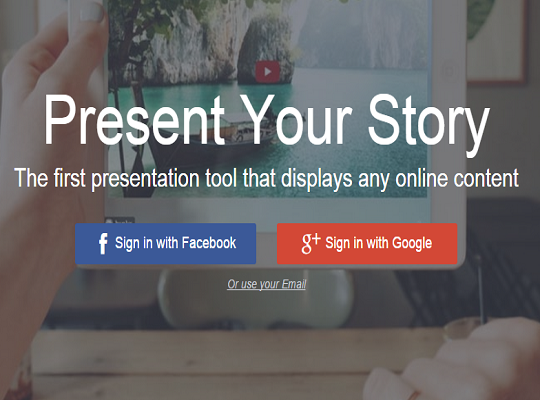 Check out these 21 top presentation tools for teachers! 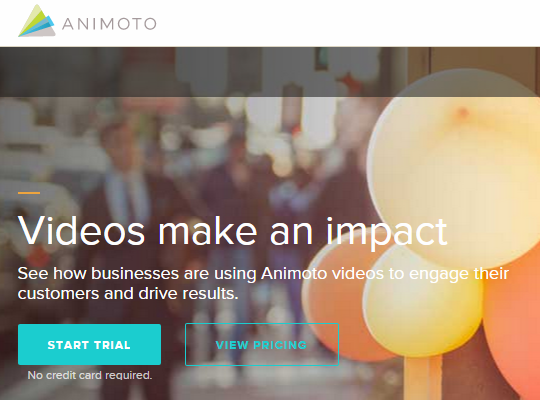 Animoto is geared toward making videos as opposed to traditional slide decks. With that being said, its a great way to combine video and photos into a unique, professional looking presentation. You simply select a style, add your media and text, then produce and share. Bunkr’s slogan “Present the Whole Web” is spot on. This online tool allows you to embed content from social media, video sites, live code, and more. It is truly incredible how many sources you can pull from, all in real time. The one downside is the site is still in beta which means you may run into some bugs. All in all though, really useful tool for presentations. Canva is more that just a presentation application. It allows users to create twitter banners, blog graphics, infographic, and much more. Some of the design elements are free while others cost a dollar for one time use. The presentation templates are made up of crisp images which you can layer text, icons, banners, etc over top of. Easy to use, endless possibilities. A more secure way to conduct your presentations! You can present anywhere there is internet access and you share the access code. 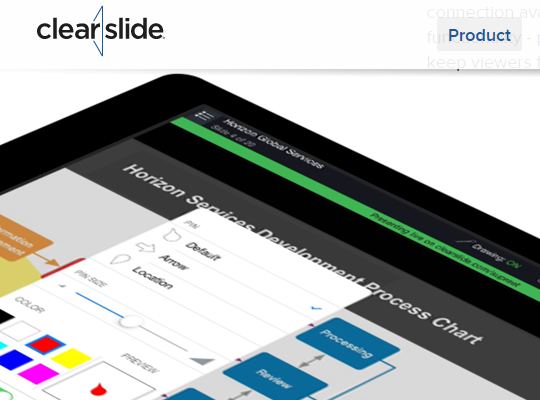 You can pitch, sell, and close your deals with ClearSlide and you will rely less on technology and more on the end game. You can answer questions on the fly and ensure security for your clients. Designed more for business customers, but there are some creative education uses. 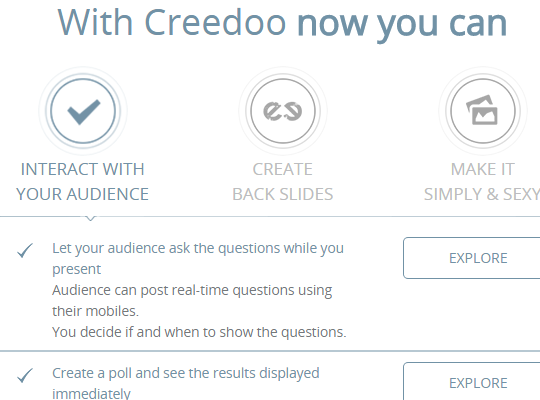 Creedoo is designed for presenters looking to interact with their audience. The software allows you to ask questions/polls to your audience and show their responses in real time. The unique aspect on this package is their use of back slides. You can create additional back slides connected to any of the main slides. If the audience real time feedback warrants more discussion on a topic, you can access the back slides with one click as if they were part of the presentation the entire time. 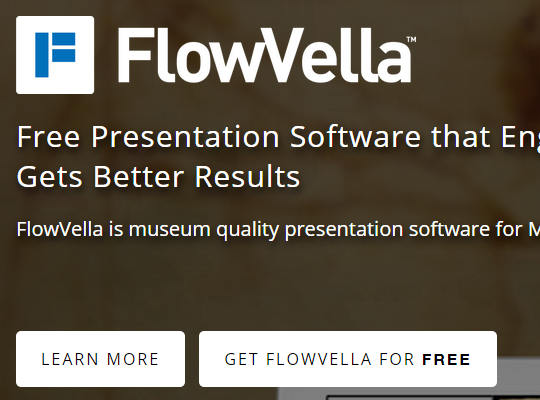 The next generation of online presentation software! Choose a free template and create an amazing visual experience. 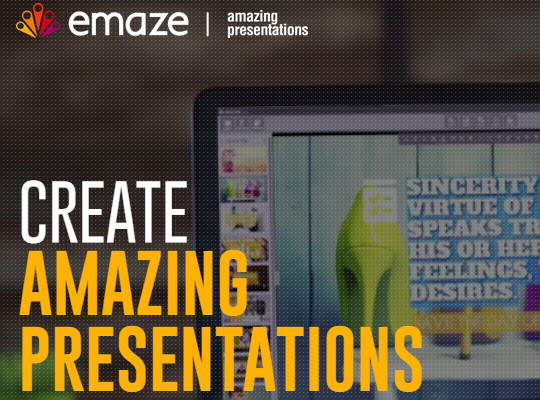 Emaze features a proprietary state of art HTML5 presentation designer. You can even create your presentation in 3D! The application has a similar style to Prezi when it comes to transitions, but Emaze takes it to the next level. Another newcomer to the presentation arena, Flowvella is looking to make a name for itself. The Apple only product focuses on creating feature rich, interactive presenations to engage the audience. If you’re a Mac user looking for a change, spend a few minutes with Flowvella. Tell your story out loud with this animated presentation program! With an easy learning curve, low budget orientation, and simple do-it-yourself tools, GoAnimate is ideal for any classroom. The site includes libraries filled with styles, settings, props, and actors to choose from! They even have an auto lip-sync feature. So cool! A permanent fixture in many classrooms now, Google Slides is a free presentation software that can be accessed from any device with an Internet connection. You can create, view, present, collaborate, and edit anywhere at anytime with anyone. Google’s auto save feature ensures your work is never lost. 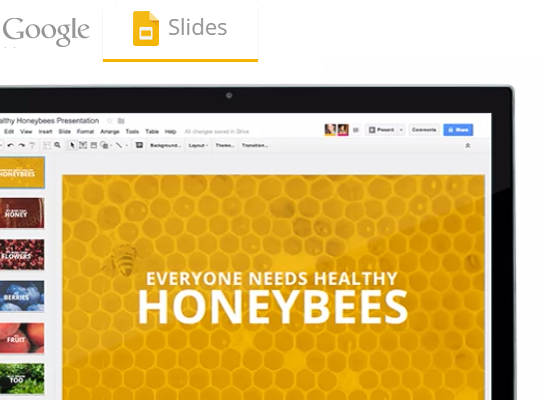 Versatility, ease of use, tutorials, and Google Apps integration make Google Slides incredible! beautiful presentations with incredible fonts, and layouts! Post them on the web and control them with your phone! Limitless possibilities. 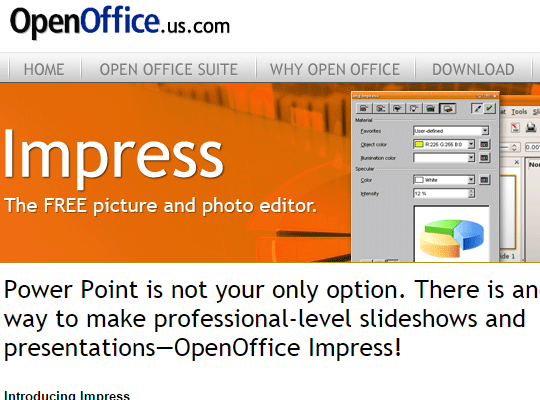 Part of the Open Office Suite, Impress is a free alternative to Microsoft PowerPoint. Its has a similar look and feel, but with a much lower pricetag. You can even take existing PowerPoint files and edit them via Impress. Not bad for a free program! The flagship presentation software for Mac that was introduced in 2003. 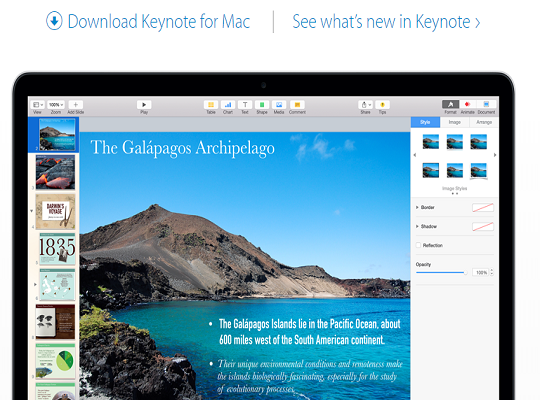 Keynote makes it simple to create and deliver beautiful presentations to your class, grade level or school. Powerful tools and dazzling effects with user friendly visuals are what makes this program one of the industry leaders. Keynote also include great photo and video integration through other Mac programs and features some compatibility with Office products! 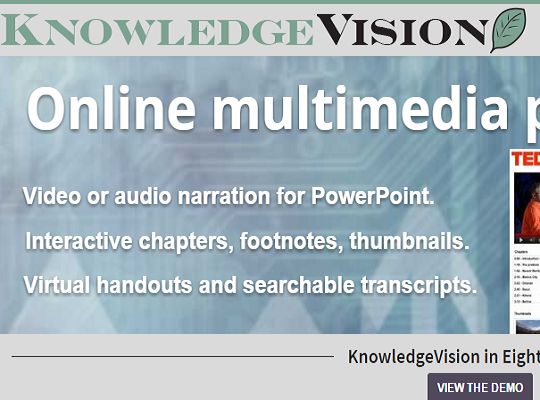 An interactive online video experience that captures and distributes your knowledge on large scale. Engage audiences and gain information about who is watching and how they are watching it. Knowledge Vision has solutions in place for explaining, advocating, selling, or teaching with presentations online! This one is more than what the average teacher needs, but it was worth mentioning. 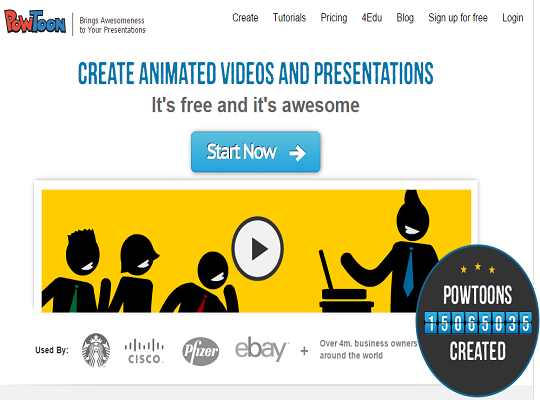 Create video presentations with this creative application. EverNote allows you to add content such as documents, graphs, images, etc. Once added, you then record yourself using a webcam and what you are doing on the screen. 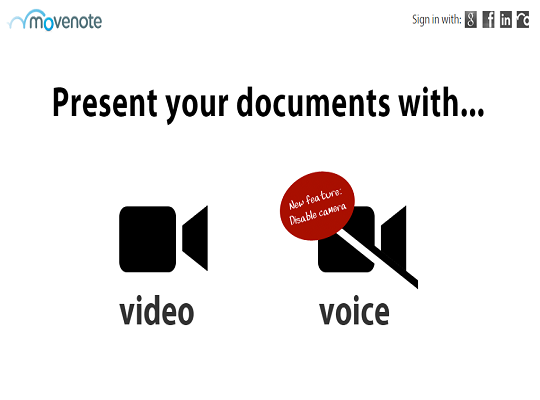 MoveNote is especially great for “How To” videos. 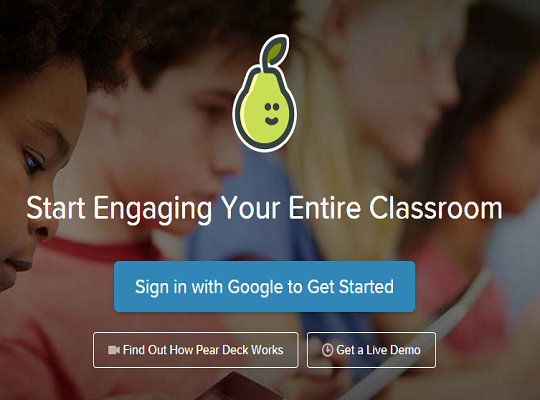 Pear Deck takes an engaging approach to presentation. When a teacher starts presenting, students join the presentation via a unique code on their own device. Teachers control the slides and students follow along. Pear Deck also allows teachers to embed actionable content into their presentation. Draggable icons, real time drawings and more. Student can then interact with the slides from their own device and teachers receive the data on how they interacted. You really have to see this one! The industry standard that has been used since 1987. 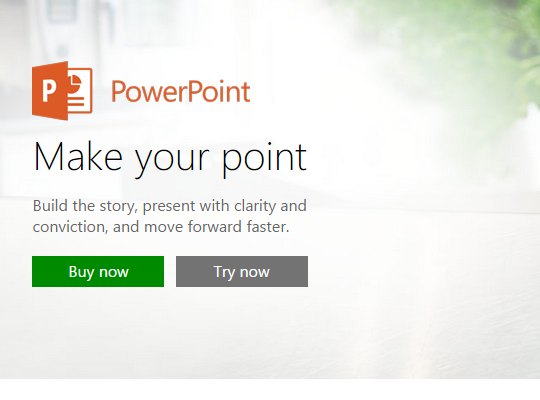 Powerpoint is a highly powerful presentation software tool for business, education, and personal use created by Microsoft. It allows nearly limitless multimedia enrichment and effects that are designed to captivate and educate all audiences. Approximately 30 million presentations using Powerpoint are given daily across the world! Same as above only through your web browser. The online version lacks some of the premium features of the traditional package, but its still a viable option for creating professional presentations. 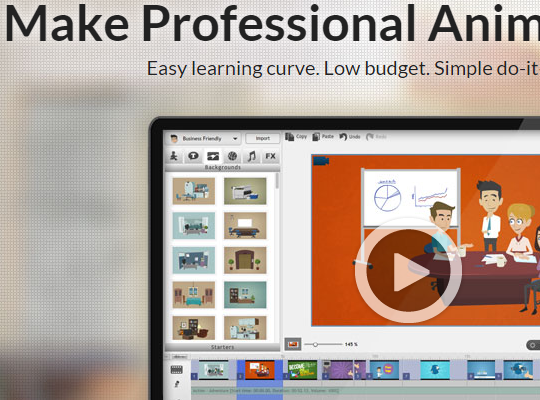 Online presentation software that uses animation to capture your audience’s attention. You will undoubtedly increase engagement of your colleagues, parents, or students! Excitement and motivation are sure to follow. You can even export directly to YouTube so the whole world can see what you have created. Bold, reinvention of presentation software for the classroom and the boardroom using photos, videos, and dynamic text!! Specializing in captivating motion through the presentation will grab your audience’s’ attention and take them on a ride! 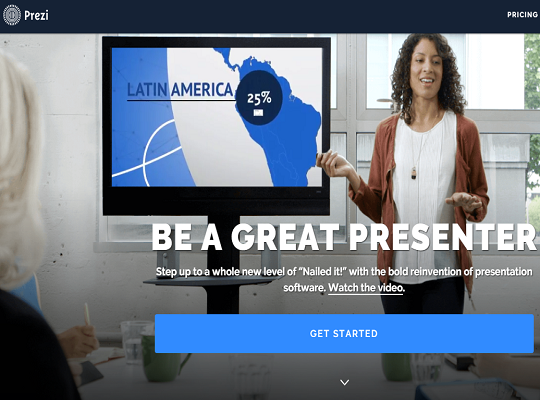 Prezi puts a new twist on the traditional slide deck. 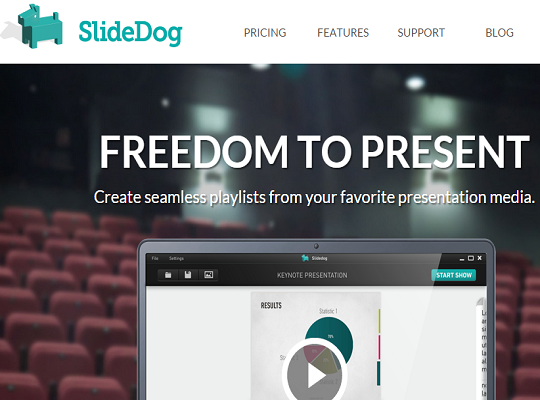 SlideDog aims to clear up the unknowns when making a presentation. Will my video load? Can I open up a web page? 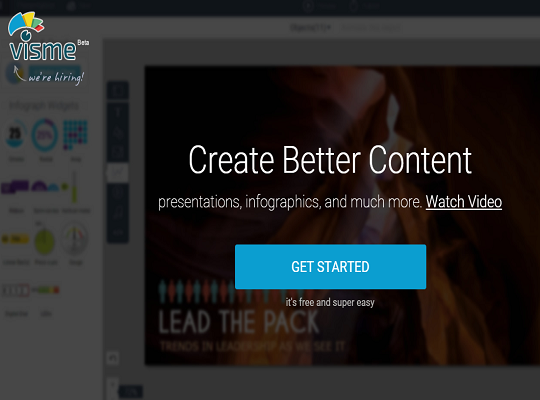 With SlideDog, you load all your content into a new SlideDog slide deck and arrange it in the correct order. When you go to present, SlideDog handles all the technical aspects such a loading a video, accessing the web, etc. Everything works as you intended it to, every time. You can also stream your presentation in real time and include live audience chat. 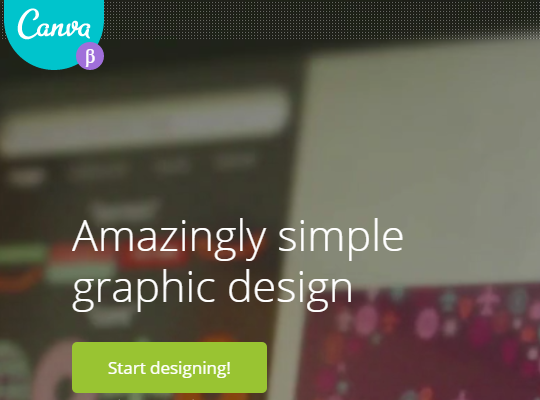 Visme is similar to Canva in the sense that it is more than just a tool for creating presentations. You can create charts, reports, infographics, and much more. The site offers a wide array of templates, all which are fully customizable to meet your needs. The software ties into other sites such as Flikr to offer millions of images, vector graphics, and icons to make your presentation stand out. Visme lives up to its “multi tool” label with its rich feature set and visually appealing design. Reimagine the way you create classroom presentations and boardroom presentations from the comfort of your browser with Animaker. Create your own video presentation from scratch or choose from the wide variety of prebuilt templates. With a few drags and drops your video presentation will be ready within minutes. Did we miss your favorite tool? Let us know in the comments below. We are always looking to add to our list of the best presentation tools for teachers! Looking for even more options? Check out the list of presentation tools created by Technology Evaluation Centers. You’ll see a few duplicates, but also some new tools such as a Glisser and Proclaim.